Obtaining and retaining meaningful employment at any age is difficult. Every day, the job market becomes more and more competitive. When you have been in the workforce for a number of years, logically you would think your experience would be an asset. But more and more employers are denying highly qualified applicants the career opportunities they deserve simply because of ageism. Luckily, hope is available for older members of the workforce. Have you been discriminated at work against because of your age? 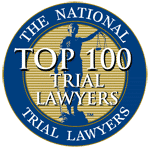 The NJ employment lawyers at Aiello, Harris, Marth, Tunnero & Schiffman, P.C. can help. We advocate for your wisdom and experience when others cannot look past superficial characteristics. Let us be your advocates. Federal and NJ labor laws govern a variety of regulations designed to provide equal and safe working environments. One such nationally-recognized law is the Age Discrimination in Employment Act of 1967 (ADEA). The Age Discrimination in Employment Act applies to workers ages 40 or over. Employees under 40 are not included by federal laws, but New Jersey state law protects workers age 18 to 40. What aspects of employment does the Age Discrimination Act cover? What is illegal under the ADEA? Refusing to hire someone based on their age is illegal, and discharging someone because they are 40 or older is prohibited. It is illegal to segregate, limit or discriminate against a worker due to his or her age. An employer also cannot reduce a person’s wage based on age. One’s benefits package also cannot be affected due to age. What if I am being harassed because of my age? Under the ADEA, you cannot be harassed at work due to your age. However, the law does not protect simple teasing or minor isolated incidents. The harassment must be severe in nature. 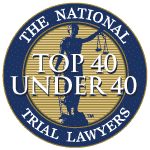 If you are 40 years old or older and you believe you have been the victim of age discrimination, contact a NJ attorney right away. One of our lawyers can assist in filing a charge with the Equal Employment Opportunity Commission (EEOC). You can file a charge with the EEOC under the Age Discrimination in Employment Act of 1967. Alternatively, you may file a lawsuit in state court under the New Jersey Law Against Discrimination (NJLAD). You were terminated and replaced by much younger employee. Your supervisor made disparaging comments about your age. You were terminated despite being a good-standing employee with a solid performance record. 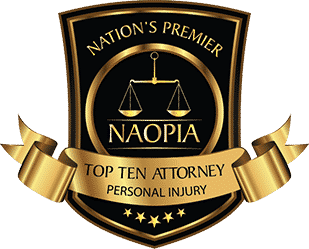 If you have questions about your case, your NJ attorneys can help you sift through the evidence and make sense of it all. If you’ve suffered age discrimination at work, take action today. Don’t wait to speak with an attorney at Aiello, Harris, Marth, Tunnero & Schiffman. We use our years of experience and passion for the law to get you results. 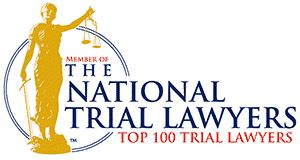 Call our firm today at (908) 561-5577 or contact us online for a free initial consultation.